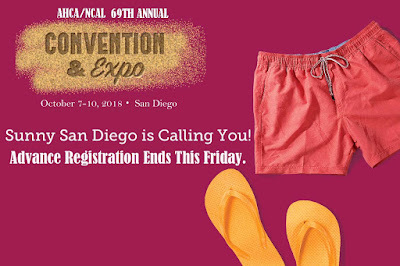 After this Friday, you must register onsite at Convention. Register now and save up to $100. Numerous packages are available. Find the one that meets your needs. Convention has so much to offer, and we can't wait to host you. From the exciting speakers to the invaluable education sessions, you'll enjoy every minute of the learning, networking, idea sharing, and just plain fun that is set to take place at the San Diego Convention Center next month. Register to attend, and bring your staff! Make it your priority, and register today.